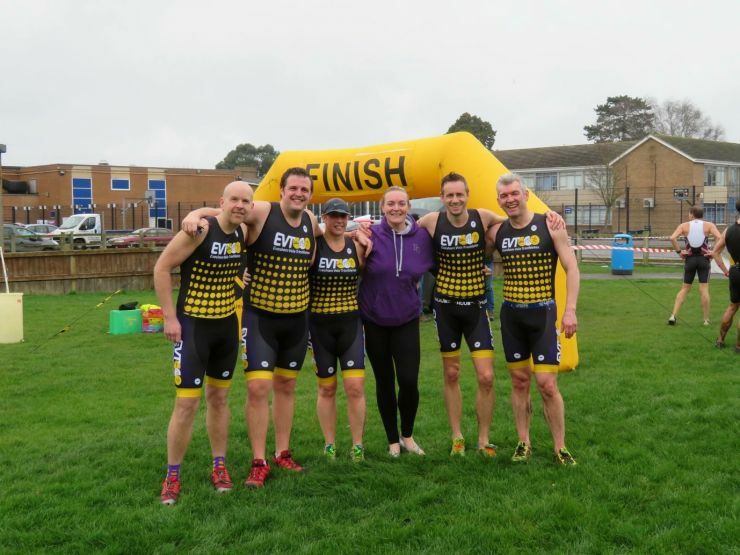 Evesham Vale Triathletes turned out to race at the 2017 Tewkesbury Aquathlon event series on Sunday. They all successfully completed the 400m pool swim followed by a 5km run. Jamie Lyall won his male veteran category and finished second overall with 26 minutes. Other members, Dave Bessant, Stuart Dillingham and Nick Green achieved personal best times. Tash Redman and Kate Jarvis enjoyed their first Aquathlon. If anyone would like to join the team, they hold various training sessions throughout the week. Details can be found at their website www.eveshamvaletraithletes.co.uk.